Every person has a story to tell, but few beginners know how to uncover their story's narrative potential. And despite a growing interest among students and creative writers, few guides to the genre of memoirs and creative nonfiction highlight compelling storytelling strategies. 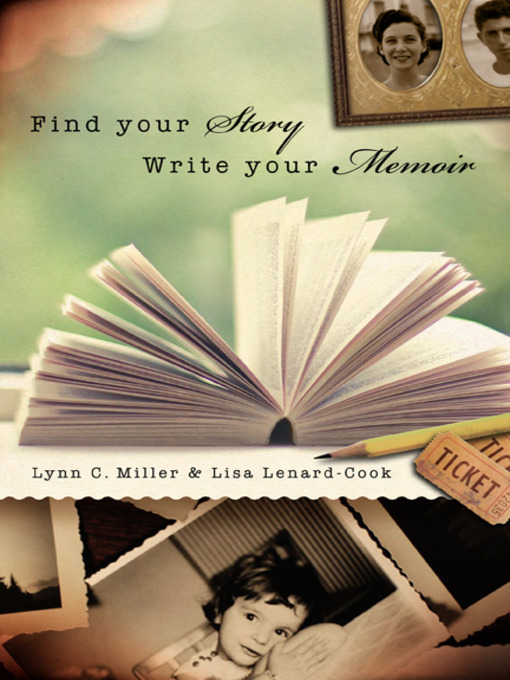 Addressing this gap, authors Lynn C. Miller and Lisa Lenard-Cook provide a compact, accessible guide to memoir writing that shows how an aspiring memoir writer can use storytelling tools and tactics borrowed from fiction to weave personal experiences into the shape of a story. Find Your Story, Write Your Memoir offers an overview of the building blocks of memoir writing. Individual chapters focus on key issues and challenges, such as the balance between the remembering narrator and the experiencing narrator, the capacity to honor the subjective voice, the occasion of telling (why does this narrator tell this story now? ), creating an organically functional structure for a particular story, and taking the next steps with a written memoir. Drawing on their combined years of experience teaching memoir writing, authoring works of fiction and nonfiction, and working in autobiographical performance, Miller and Lenard-Cook provide a practical guide whose core philosophy is motivated by a key word: story.